Bob Chase seems the happiest when he is around Military vehicles, like this moment when he was unloading an M37 truck at the show field. He has been a co-chair of our August show since 2004. Duane Leach joined him in 2010 and together, they have exceeded all our expectations. 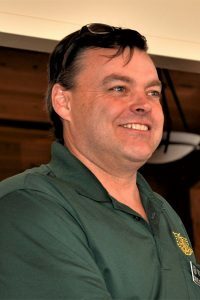 The two live on opposite sides of Mount Mansfield and in the hundreds of phone calls they make to one another, Bob usually starts his conversation with…. Recently I attended a SCCV driving event. Part of their pre-event inspection is verification of a cover for the hot battery terminal. I checked my car a few days before, and realized the positive battery terminal was not covered. I spent a minute thinking of all the possible ways the positive terminal could be accidentally shorted to ground. If nothing else, when working on the car, a wrench or other tool could easily be accidentally dropped, causing a direct short. The positive terminal is just a few inches from the aluminum A/C lines, the inner fender, and numerous bare nuts and bolts. I can understand the concern, the battery could easily be accidentally shorted out. I went to the local auto parts store and bought a pair of universal battery terminal covers. I had to cut it a little to make it fit my car. Just for good measure, I used a red zip tie to hold it in place. I passed the safety check with no issues, they checked to ensure the battery was securely held down, that the hot terminal is covered, the front end was tight, and there was nothing loose on the body of the car. I have also decided that the hot terminal of all my cars will be covered, as an extra safety measure. The $5 spent for terminal covers is cheap insurance and piece of mind. These covers can easily and quickly be removed for display on show cars. Al Ward’s 1982 “25th Anniversary Milestone” Poem. Stood five old cars pushed all in a row. The occasion of which was a picnic, I’m told. And started the VAE as a club to take hold. Now each gathering held in close perfection. And features flea markets and a wonder show. Who arrive from Canada and the New England shore. To take part in the show and give us a cheer. This club would have grown and we all could take part. Or just milling around while munching on sweets. The designs of the cars have greatly ranged. But now it’s the fifties and in-be-tweens. To those dedicated few who gave it a start. Through there 25 years we look back upon. Are most deserving and have earned these three cheers. After being on the 1968 Glidden Tour in Pocono, Penn., I wanted to go again in 1980 in the White Mountains. I pulled the motor out, and out of 4 motors, took the best of each and made a motor that sounds like a bucket of bolts. This motor runs nice and uses no oil. 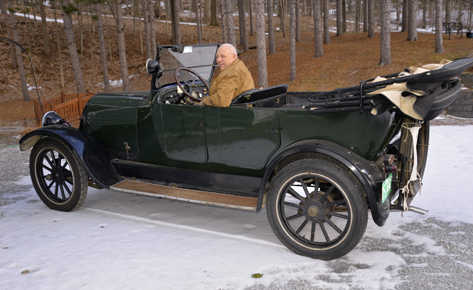 With a 1927 Marvel brass carburetor, I get 14 miles to a gallon of gas. I was accepted on the 1980 Tour with number 67 out of 341. Esther and I left Bradford in the rain, September 14th, arriving in Brenton Woods at the Mt. Washington House about 3:30PM. We were to stay across the road at the Bretton Woods Motor Inn. We spent the rest of the day visiting and admiring the other many cars arriving, coming from across the United States and Canada. Editor’s notes…. Taken from the 1981 Spring issue of Wheel Tracks. Cliff’s column goes on describing their eight days on the tour. We do not have the room to print the complete article but if you make a request, we will mail it to you. Cliff ends his column with this……. When I saw and heard about the many fine cars that threw rods, clutches and rear ends, to name a few, it made me feel good that Silver Anne made the 775 miles and the only problem was a leaky manifold gasket. My 1937 Dodge MC was built on June 23, 1937 at the Chrysler Corporation, Dodge Truck Division, Hamtramck plant in Michigan. 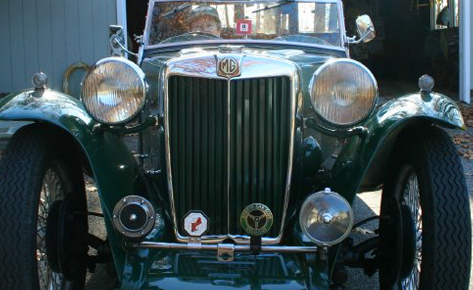 When it left the factory it was shipped to Perth Amboy, New Jersey with the following options installed: shock absorbers, front and rear ($9.50), interior sun visor ($2), auxiliary windshield wiper ($4), a tire lock ($2.50) and a rear chrome bumper ($8.50). These accessories are still with the truck except for the tire lock, but the hole where the tire lock shackle would be locate is present in the hub where the spare attaches to the fender assembly. Curiously, two items on the build sheet remain unresolved at this time. The first is the abbreviation, “sov”, in the list of options contained in the build sheet. Accordingly, the truck was built with three “sov” and I currently have no idea what the “sov” abbreviation identifies. Secondly, I can not determine if the truck left the factory with the utility box. 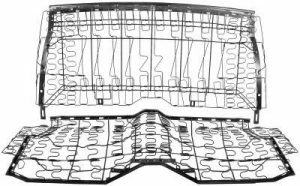 The build sheet indicates the rear body as a “2”, unfortunately I am unable to determine what the “2” refers to, when describing the rear body. And the “rear fender” option is left unchecked on the build sheet. As you might expect, the truck has no rear fenders. If you know of anyone with knowledge of the coding used in Dodge build sheets from that era, I would appreciate their contact information. I have had several automotive professionals analyze the utility body to determine who manufactured it. In addition to being unable to locate a makers mark, these individuals all concluded that the box was made by a manufacturing concern and not a one-off built by a local craftsman. The gauge of the metal and the accuracy of the stampings indicate to them, that the box was built by, an unnamed industrial manufacturer. The wiring and fittings used to secure the box to the frame rails also indicate the truck probably left the factory, with this box attached. If you know of anyone with knowledge of utility boxes and their manufacturers, I would appreciate their contact information. 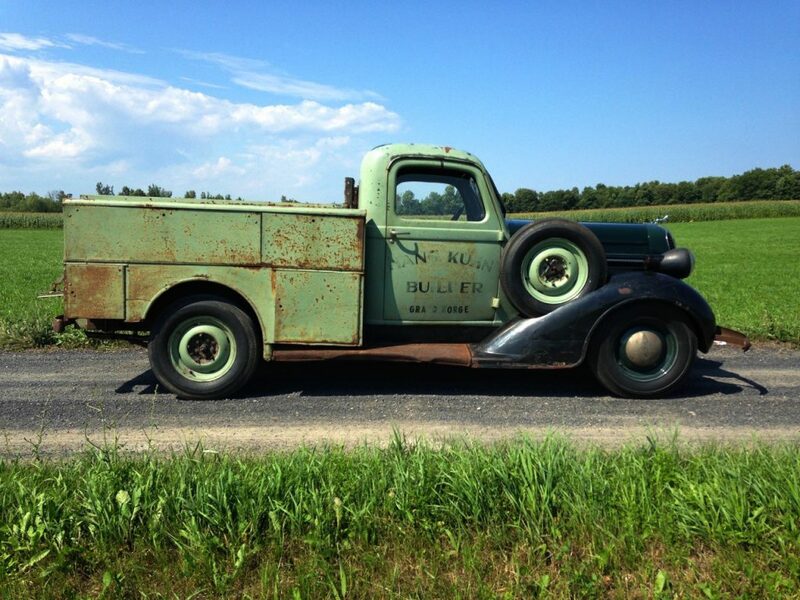 The history of the truck from the time it left the factory until somewhere in the 50’s is unknown to me. The individual from whose estate it was purchased, in the 50’s, is identified in the faded black paint on both doors – Hans Kuhn, Builder, Grand Gorge. Grand Gorge is located in rural New York as is the farmer I pur-chased it from in 1977, who worked a dairy farm in Franklin, New York. 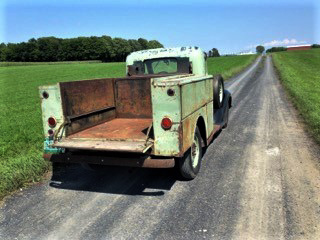 During my college years I had seen the truck occasionally moved around the farm and noticed it did not have license plates on it. The story goes that the farmer bought the truck to use on the farm and for his boys to learn how to drive. The boys had no interest, so the farmer did not register it for the road. 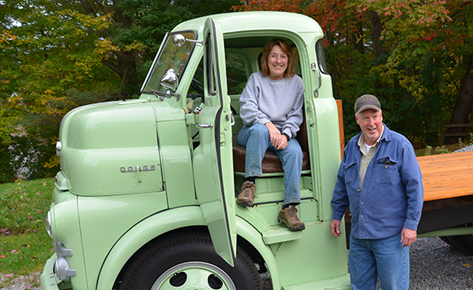 He used the Dodge to drive around the farm for approximately 20 years. So a few years out of college I got enough courage to ask him if it was for sale, we struck a deal and I towed it home a week or two later. When I purchased the truck it was not drivable, the engine was seized, the interior was unusable, the windshield was delaminated, the rear window was broken and it had 107,960 miles on the odometer. I intend-ed to restore the truck and have fun with it. Over the years I never had the time or resources to devote to the truck. Fast forward from 1977 to 2015, the spring of ‘15, my son motivated me to get the truck running and usable again. Each of the trucks systems were evaluated and all parts that needed to be replaced were, so it would become a reliable driver. The Dodge passed Vermont state inspection in October of 2015 and I have been using it since. It does not have special antique plates, but regular truck plates, so I can enjoy it whenever possible and not have to worry about the restrictions imposed on vehicles with antique plates. The truck is as original as I could keep it and still be a reliable driver. The inner surfaces of the utility box has its original paint as does the fenders and firewall. Some-where in the 50’s a previous owner hand brushed the light green paint over the stock dark green paint. Inside one of the utility box compartments are the two remaining original sliding wood trays used to hold tools. The Dodge is used for weekend chores and has successfully taken me on one 320 mile round trip excursion in under 24 hours. What fun it is to experience the response of people as I pull into a shopping area. Most rave about the originality and patina of the truck, the uniqueness of the utility box and implore me not to change it. Double clutching to and from my weekend destinations has become something I very much look forward to and hope to continue enjoying for years to come. Friday night (February 1, 2019) we lost a good friend and the area lost a knowledgeable, passionate historian in Ken Barber. 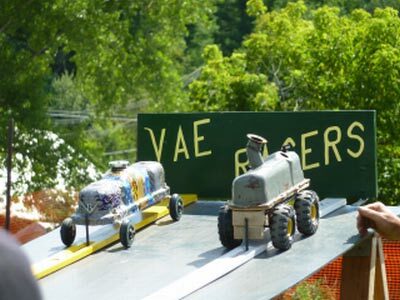 Ken was a VAE member and has contributed to Wheel Tracks many times. If you didn’t know him, I wouldn’t be surprised. He didn’t inject himself in the running of the operation, not to say he didn’t have opinions about its “runnings”. I think some of the reason was that things tended to annoy him, so he stayed away. He was an avid collector of information in the form of books, papers, magazines and photographs. He loved printing photo-graphs of local history from some glass negatives which he had collected. And with them, he had great recall and knew facts which, I fear, without being written down, will be lost forever. 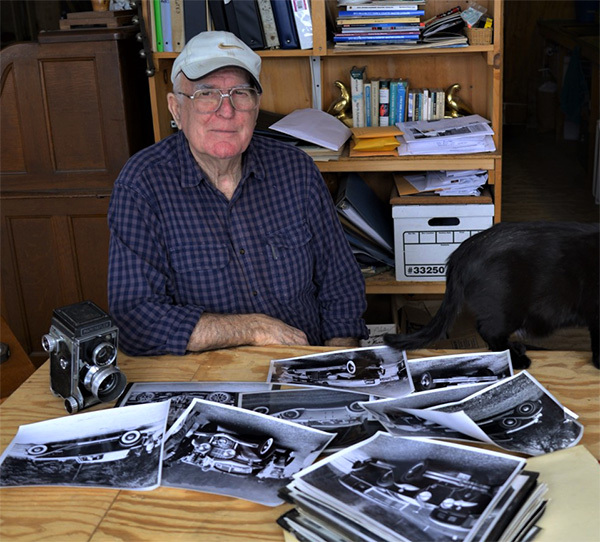 His knowledge spanned a huge number of things, from town and village history and changes, antiques, old tools, trucks and of course, cars. Recently Ken wanted my husband, Gary, to take him to Maine to get about 200 Life magazines from the 40’s and 50’s. After Ken looked them over he passed them on to Gary and they now reside under my dining room table! Ken was as concerned as Gary, about the loss of history, when things get thrown away or by people passing away. This would include the loss of skills, that at one time, many could do. I know Gael Boardman was impressed with Ken’s skill in producing hand hewn beams for a house Ken built for his family. I also know Ken would give Gary items knowing he would ‘hang on to them’. One of the reasons I liked Ken, so much, was that if Gary suggested going somewhere and I didn’t really want to go, I would say, ‘why don’t you ask Ken’. Gary and Ken, being like-minded, enjoyed the outings with each other and I enjoyed seeing them go! Ken could be kind of cranky and believe it or not, so can Gary. That along with their common interests and we have “Birds of a feather flock together”. Another ‘bird in the flock’ is Gary Fiske. Gary and Ken had become great friends with common interests. I can’t believe, however, that Gary ever gets cranky. Ken you will be missed by Gary and I, maybe not wholly for the same reasons but thoroughly missed none the less. Wheel Tracks note…. 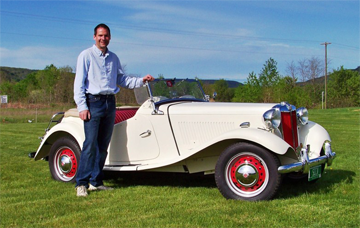 Ken’s two sons, Glenn and Scott, while completing the obituary, decided to asked if someone would like to make a donation in Ken’s name, they can donate to the Vermont Automobile Enthusiasts. Our treasurer, Don Pierce at 203 Colchester Pond Road, Colchester, VT 05446 is where it can be sent. An example of a drum emergency brake with regular disc brakes. This was the good news! Something strange happened to me last week. I loaded the garbage and the recycling into the minivan to do the Saturday trip to the transfer station, and the right rear wheel locked up when I backed up. As this happened, the rear axle made unpleasant noises. I thought the parking brake was seized, and was relieved when the wheel moved ok going forward. On the way home, the right rear wheel locked up while driving forward, making horrific noises. Again, I thought the noise was originating from the rear axle. I definitely heard the differential banging against the frame cross member it is mounted on. I drove up my driveway, with the wheel seized. I googled the problem, and found many stories of the rear differential failing, causing a rear wheel to lock up. Fortunately, the part is available rebuilt, but they are expensive. I planned on removing the differential to verify it was in fact bad before I purchased a used or rebuilt unit. I thought I should check the right rear hub first to rule out any problem there. Fortunately, I found the problem. This vehicle has four wheel disc brakes, with the parking brake on the rear. 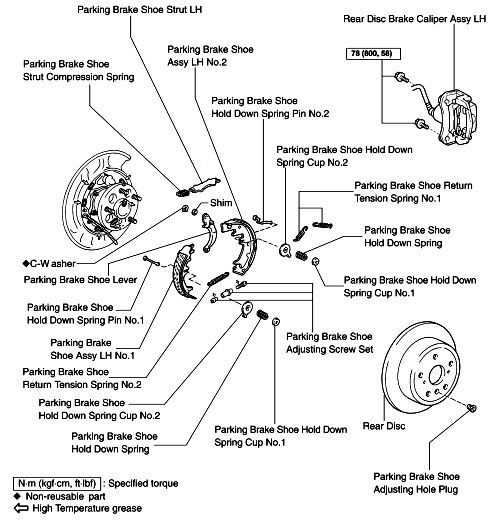 The parking brake has conventional brake shoes on a drum in the center of a “hat” type rotor. Somehow, something came apart with the parking brake assembly, and the whole assembly broke apart and jammed against the rotor. I have to replace the backing plate, caliper mount, rotor and the whole parking brake assembly. It is bad, but infinitely better than a bad differential. I have never seen anything like this before. Pictured below, and the following is an article from the December, 1960, “Science and Mechanics” magazine. Designed to replace ball bearings and have several times their life expectancy, this new Hy-Film bearing never requires relubrication. It utilizes the phenomenon of hydrodynamic oil film. 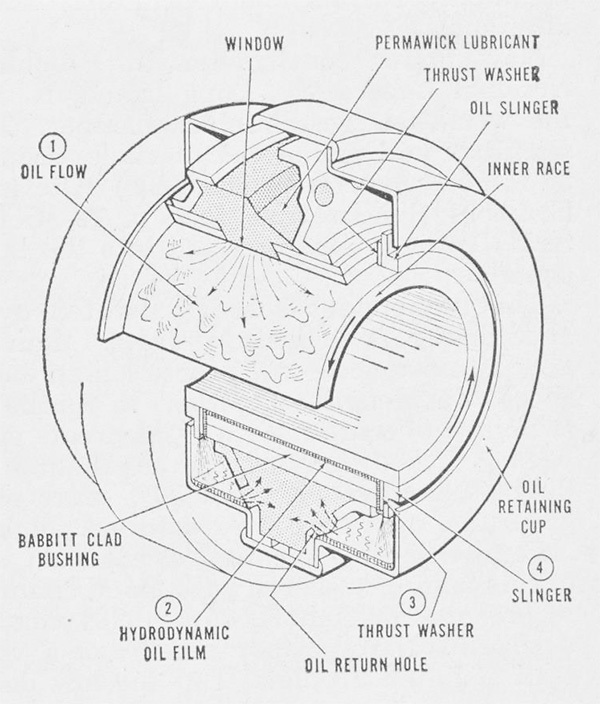 The diagram at left: (1) Oil is drawn from reservoir through bearing window; (2) rota-tion of inner tace under load generates hydrodynamic oil film, supporting race without metal contact; (3) oil forced to bearing ends by film pressure lubricates thrust washer and (4) oil is picked up by slinger and returned to retaining cup, where it is reabsorbed by Permawick in oil return hole. Tann Bearing Company of Detroit, Michigan, designed and developed the bearing. What is hydrostatic and hydrodynamic bearing? Hydrostatic bearings are externally pressurized fluid bearings, where the fluid is usually oil, water or air, and the pressurization is done by a pump. Hydrodynamic bearings rely on the high speed of the journal (the part of the shaft resting on the fluid) to pressurize the fluid in a wedge between the faces. What are the types of bearings? There are many types of bearings, each used for different purposes. These include ball bearings, roller bearings, ball thrust bearings, roller thrust bearings and tapered roller thrust bearings. I am running out of ideas on what to write about in this column. If you have any ideas, or any questions you want me to answer, please let me know. How do I know I am getting a good upholstery job? How much does it cost to reupholster a car interior? For car owners interested in a complete makeover, car owners can buy vehicle reupholstering kits for about $800, plus an additional $750 for a professional to install, Zalewski says. A custom upholstery for an entire car can cost about $2,500. There are also options for carpet repair. How much does it cost to reupholster seats? Having the car seats professionally reupholstered (not just adding slip covers, but completely replacing the old material with a chosen fabric, adding foam or batting where needed, and repairing springs if needed) typically costs $200-$750 per seat, or about $500-$2,000 for two bucket seats and a back bench seat. Plan ahead. Finding an upholstery shop early on, in the process, will ensure you get a better cost estimation, along with an experienced interior craftsman, who can provide pointers on making sure body fabrication or paint work will match up with the interior work. Use Quality Materials. Our #1 advice – DO NOT think you can save money on the materials that you bring to the shop on your own. More often than not, it will end up costing you more than you thought. Nobody will know better, on what kind of covering materials your car will need to make it look and work best, than the upholstery experts at the shop. If you decide to go with your own materials and something goes wrong, you’re on your own. From Ron at Goodguys Upholstery..
SHOPPING FOR A SHOP… Finding the right shop to do your interior work is important. “Experience is king,” Ron told us. “Look at the shop. Is it clean and organized with well-kept machinery? Also check out some of their previous work but pay close attention to the details and the final pieces that really stand out and make a difference. Get your agreement in writing. A firm price might not be possible but a “firm range” is always possible. 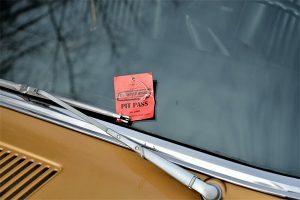 If you belong to a car club and know some members who have had their cars worked on, they can be your best bet to get the initial information that you need. If there is someone in the club familiar with the process, and you are a beginner, then ask if he would go along with you. Choosing the material can be fun and a bit overwhelming. After looking through the 10th sample book your eyes might glaze over. You might get as much information as you can from the shop, then go home and study a bit. If you are reupholstering in leather, many times, there are sales where you can buy the three or four hides that you need for your project. Ask the shop for the hide dealer if you want to ask more questions. If it is cloth you are using, and you want to use the same as what came original to your car, then find the very best sample from your vehicle. Remember to ask for the left-overs. You have already paid for them. They can be valuable years later in making small repairs. What to watch for while your car is being worked on….Look for straight seams, and smooth lines on cushions, not puffy/uneven work. Don’t utilize an upholsterer who smokes unless you like the smell of smoke in your car….forever. Take photos of the pre-upholstery. It can help the upholsterer immensely while sending the message that you are a ‘detail person’. 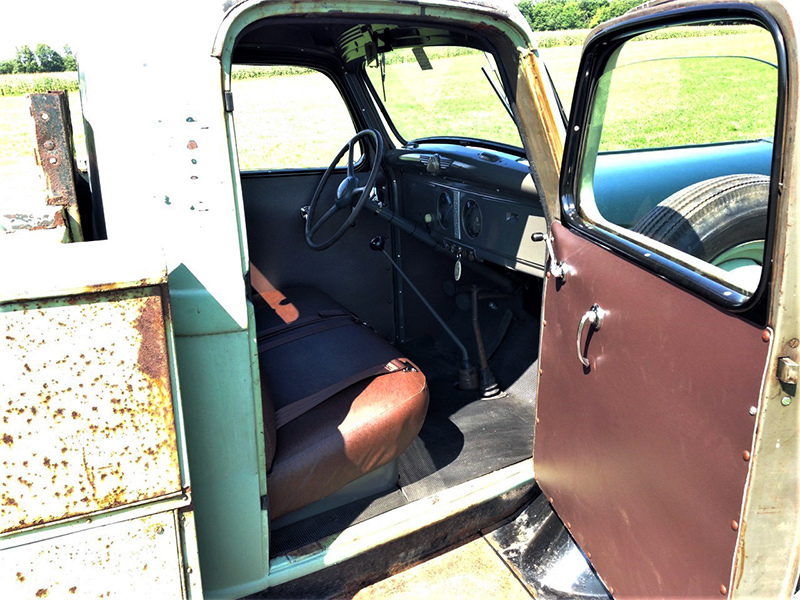 If you plan to do some of the dismantling, it is important the upholsterer sees your car beforehand, even if that means an extra trailer trip to his shop. Save all material that you take from your car so the shop has examples of stitch types and stich designs. And lastly……The shop has your car as collateral and will also most likely ask for an advance. All OK. But, be sure you have a fairly good sized “hold back”. It is surprising the misunderstandings that can happen during a project like this. 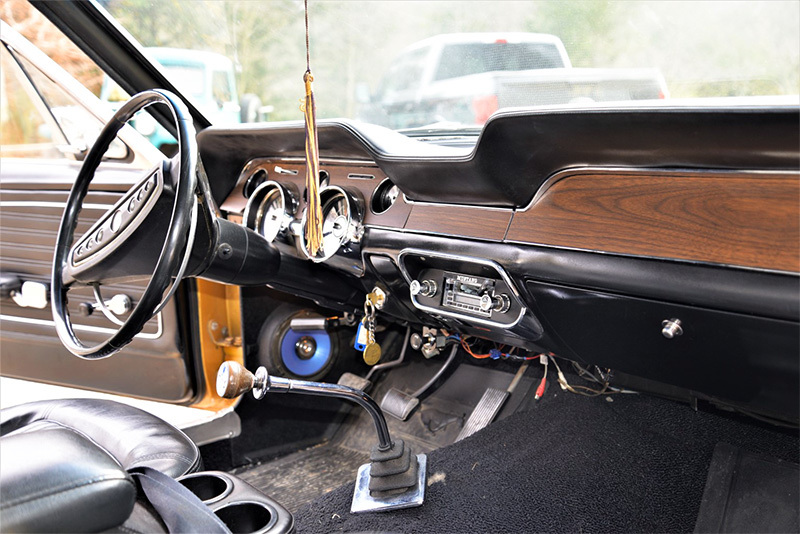 Author Dave StonePosted on February 2019 February 2019 Categories Dave's Garage, Wheel TracksLeave a comment on How do I know I am getting a good upholstery job? It must have something to do with the fact that I’m getting old, or am already old, but I find more and more things really irritate me. The first thing that comes to mind is road rage. I think I’d go mad if I had to drive in a metropolitan area on a regular basis. I find it difficult enough to drive in Burlington. All the lights, whether they are on cars or streets, are bad enough, but then you have people walking everywhere and bicycles everywhere, and cars darting in and out of strange places. Add darkness and rain to the mix and it’s not very good. I don’t know about you, but I find more and more cars blatantly going through red lights and ignoring stop signs. I’ve even seen school busses doing this. It’s not just young people either! It seems like it is parents of these young folks. Not using directional signals is another problem. I’ve gotten to the point that I don’t even trust cars that have their directional signals on. I won’t even mention driving on the Interstate, where everyone is going about 80 mph. It’s almost unsafe to be going the speed limit. I guess I’ve been driving on dirt roads long enough where you can drive down the middle of the road, or even on the wrong side of the road, depending on the road conditions, without worrying about other cars. 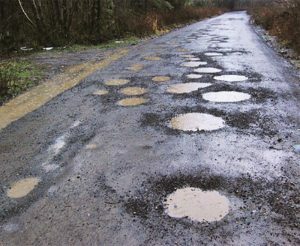 One needs to concentrate because of pot holes, ruts in mud season, or slippery conditions. After dark, you have very few headlights to contend with. Just an occasional deer or two. More often than not, there is more than one deer so you just have to look carefully. I’ve never hit a deer, but it seems like everyone else I know has, with minor or major damage to the vehicle. (I did hit a bear once, or I should say the bear hit me). It wasn’t hurt and I was driving the VW Thing which sustained just minor damage. I do admit to not coming, to a complete stop, when there is a stop sign on some dirt roads. I do what they call a rolling stop, which seems good enough to me. Why there are even stop signs in some places is beyond me. Speed limit signs, too. The speed limit might be 35 MPH when you drive through a town, but then on a dirt road, some where there is a 25 MPH sign for no apparent reason. How about following a car down a road that is going ten miles below the speed limit? 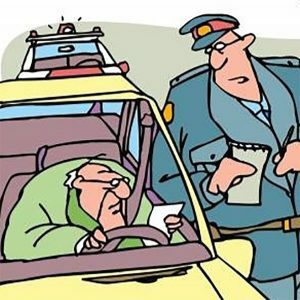 It usually is some older person that can barely see over the steering wheel. This might be all right on a back road but can be dangerous on a paved road with a fair amount of traffic. It seems like everyone is impatient and needs to pass these slow moving cars, usually on dangerous stretches of road. Then there are the people who still use their phones and swerve all over the place and sometimes pull to the side of the road in weird places. I think I’d best stop before I move on to another pet peeve. There seems to be no shortage of them these days. I know what you’re thinking, oh great another story about a Mustang. A dime a dozen at the car show, just like a Model A or Camaro. We’ve seen them before and there’s nothing more to see and I suppose for some people that’s true, but we all have our preferences and interests. Which is why attending shows is so important, every car has a story behind it and every owner likes to share it. Most of you grew up during the muscle car era of Detroit, so you recall seeing a Mustang on every street corner and parking lot, which is true. Over 1.9 million units were built between 1964 and 1968. With over 10 million built to date, you can’t deny the appeal of this American icon. The Mustang was the right car at the right time. Styling and performance that the baby boomers wanted. 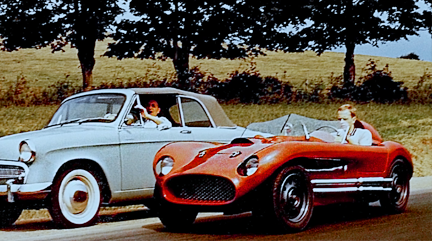 Gone are the huge land yachts, no more fins and massive chrome bumpers, the American car culture was changing. Everybody has a story about a Mustang whether they bought one new or had a family member that owned one. 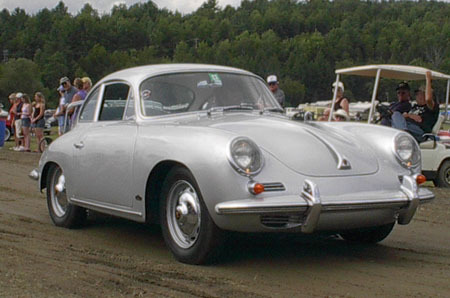 The automotive icon has touched the hearts and imagination of car enthusiasts nationwide since it’s inception. In March of 1985 I purchased this 1968 Mustang with 62,711 miles from the original owner in Essex. I was a senior in high school at the time and my friends were all driving VW Rabbits, Volare’s, and Delta 88’s. I remember looking at a 1959 Oldsmobile Super 88, baby blue, with a missing head, quite the car, but my dad talked me out of it in favor of the Mustang. I think it was largely because he owned a Mustang while in the service back in ‘67. Little did I know that this decision would lead to a lifetime hobby. I have the original build sheet from the car which was taped to the wiring harness under the dash. This is the birth certificate and lists all of the options that the assembly line workers would add to the vehicle as it rolled down the line. My Mustang was born with a black vinyl top, white wall tires, hub caps, am radio, 3 speed transmission, and a 200 cubic inch six cylinder engine. The color was Sunlite Gold. Pretty sparse on the option list, especially since Ford offered over 40 options for the consumer. 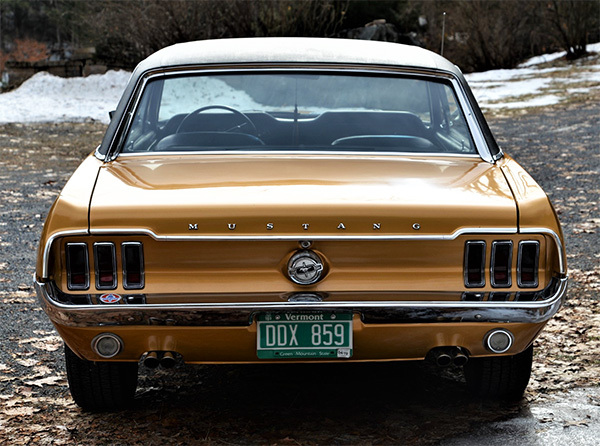 For the next year and a half, I used the Mustang back and forth to work and cruising around town, plus a few trips down to Saratoga for summer concert events with friends. Every Thursday night you could find me at Thunder Road watching the Lamells’ race their two Mustangs, they were one of the few who carried the blue oval. Like any teenage car guy you need to modify and make the car your own. One of the first things I did was purchase a set of gold nugget rims. I didn’t want to keep chasing down the hub caps, every time I spun the tires, managing only wheel hop. The fat tires put an end to this antic, the increased traction was dominate over the 110 horsepower. So it was off to the salvage yard with a friend and his station wagon to locate a 302 V8. We found one out of a van and loaded it in the back of his Volare and off we went. The engine needed a rebuild so I spent the next few years putting the engine together. I ported and polished the heads, installed a performance camshaft, plasma rings, high volume oil pump, Offenhauser intake with Edelbrock 4 barrel carb. I didn’t want to deal with headers so I located a set of 289 hipo exhaust manifolds. These manifolds bolt right up and provide unrestricted flow. I soon set off for college leaving the 302 in my bedroom, serving as my bedside stand for the next few years. Four more years would pass before the 302 found its new home. In 2000 the 302 was finally mated, to a toploader, 4 speed transmission. I removed the little engine that could, detailed the engine compartment and installed the V8. I had driven close to 50,000 miles with the six cylinder and three speed and now had mixed emotions about the swap. No longer a teenager, the rational side of me was coming out. Should I keep the car original? Well, the first turn of the key with the 302 quickly erased any of that nonsense. Just the sound of the dual exhaust made it all worth while. I enjoyed the new power and 4 speed, it was a new car for me. The feeling of wide open throttle in second gear is awesome, the little Mustang moves! The only down fall was the lack of overdrive, which many cars from the sixties needed. 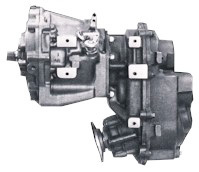 In 2006, I installed a Borg-Warner T-5 transmission out of a late model Mustang. The fifth gear was basically an overdrive and made driving the interstate comfortable. Summer of 1986 I decided to replace the battery apron because of rust. I pulled off the fenders and front end sheet metal and soon realized that I was in over my head. I didn’t have a welder or the knowledge to tackle it. 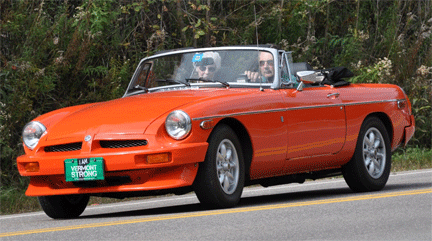 One of the good things about our hobby is the resources and experiences of fellow enthusiasts. A knowledgeable Mustanger provided me with the guidance and welding help that I needed. I made cardboard templates of the patch panels and had a local metal shop cut and bend them up for me. Back in 1986 there was a lack of reproduction sheet metal, not like today where everything is available. I ended up replacing the front frame rail, torque box and battery apron, this helped to restore the unibody strength. With the welding done and body panels back on, it was time for a new coat of enamel Sunlite Gold paint. The paint job came out ok for a teenager’ ability with no experience, plus it was painted in my parents garage. Enamel paint over spray everywhere! Now fast forward to 1996, I had been driving the Mustang for another 20,000 miles, still with the 200 cubic inch. I had made many trips back and forth to college in southern New Hampshire plus Connecticut for work. The 302 still sat in the corner of my bedroom, but not for long. I located a V8 rear axle and front spindles to make a drivetrain upgrade. Ford had two different suspension set-ups for the Mustang, six cylinder cars had a four lug pattern with 9 inch drum brakes, whereas V8 setups had the traditional 5 lug pattern and 10 inch drum brakes. I was use to brake fade on hot summer days with the 9 inch brakes, an unsettling feeling in traffic and I don’t miss that at all. Another benefit to the V8 set up is the number of after market upgrades available. By now it’s been 25 years since the garage enamel paint job. It was dull, tired and worn out. I was in a parking lot one day just getting out of the car when I heard a couple talking about my Mustang. “Yeah, nice car but it needs a shine” I stepped back and looked at the old girl and concluded the same. Now 2011, I stripped off the Sunlite Gold enamel and started an exterior restoration replacing a door and rear quarter. 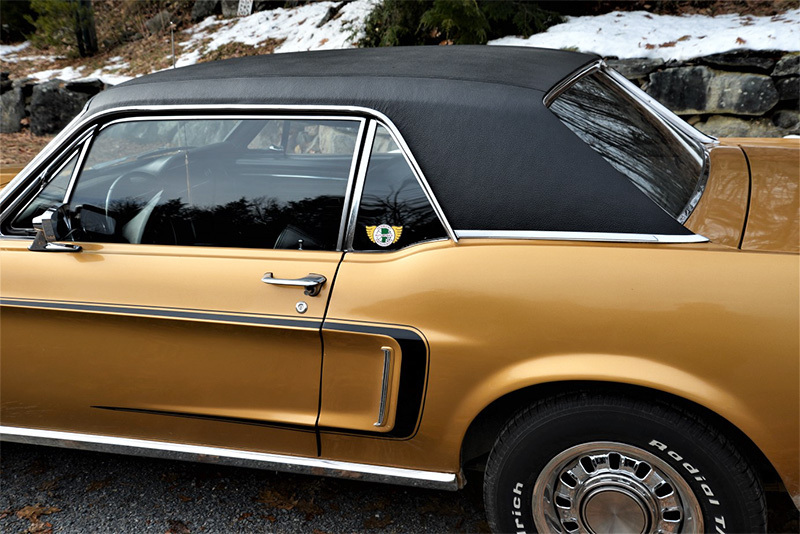 It was repainted with a modern urethane metallic gold, from the 2009 Ford lineup. The color is a little more brighter than the original but it still pays homage to its roots. Hopefully this paint will be as durable as the enamel. My future plans for the Mustang include power disc brakes, I think it is a wise upgrade from the 10 inch drums. The Mustang will continue to be my daily summer driver in a world of throw away cars. I hope to accumulate many more miles and memories through out my travels. Just another Mustang, too many yes, but now you know how this little Stang is a part of my life. It’s not how much they are worth or how well they shine but the story behind the steering wheel. When you ask a long time owner about their vehicle it will always include memories. 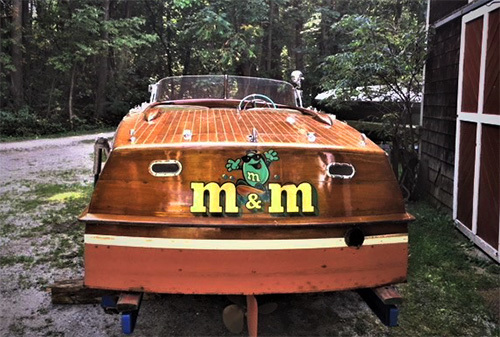 Selby & Maureen Turners’ 17 foot Shepard Runabout. It’s winter, the snow swirls around my storage barn, just feet away from the Lake and safely tucked in among the cedars on Isle La Motte. I enter, almost tentatively because I’ve not been in for several weeks. I flick on the lights and suddenly the 35×75′ space is alive with all my summer friends: 3 antique cars ranging in age from 67 to 88 years and two boats ages 96 and 64 as well as two 61 and 67 year old tractors, several newer boats, carriages and assorted lawn machines etc. The 1955 Shepard mahogany runabout sits in the middle and I’m drawn to it because I’ve promised it a spring coat of varnish. I’m already imagining the task with a pad of 220 grit paper in one hand and a soft brush in the other. I try to remember to varnish before summer humidity so the drying won’t blush and think about maybe adding some japan dryer to hasten the process. 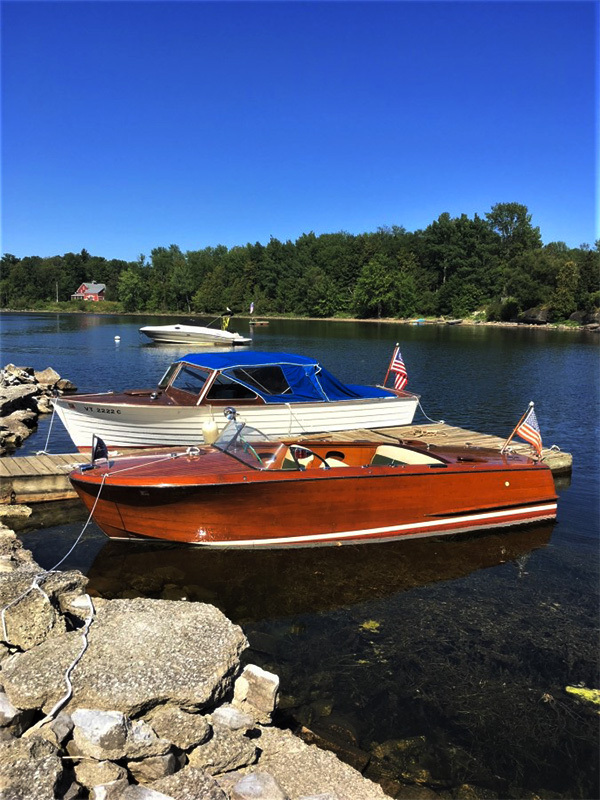 The 1955 Shepard is a 17′ (all original) Canadian made mahogany boat built to compete with US made Chris Craft. It is a “runabout” as opposed to a “utility” because the engine is covered by a hatch and not a box which you need walk around. Runabouts are considered more of a “sporting” boat while the utilities would more likely be used for maybe fishing. Shepard built their products first class. The 17′ runabout has a double planked bottom and is designed to accommodate 5 passengers in the same cockpit. To achieve this, Shepard installed the engine with the flywheel facing the stern (back) of the boat and powered the prop with a V drive transmission. Thus the engine is in the back of the boat covered with a hatch. Most boats are the reverse and their engines are of necessity in the middle of the boat forcing a split cockpit arrangement and, in the Runabouts, a very wet ride for half of the passengers! 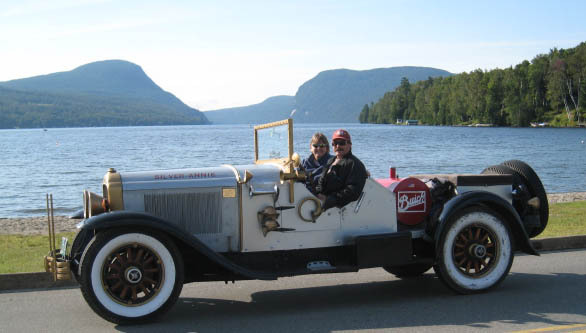 The engine, original to the boat, is a Chrysler “Ace” which develops 95 hp. These very popular marine engines were available as well in 125 hp as the Chrysler “Crown”. The engine is a 6 cylinder, in line flat head. The exhaust is a straight pipe which develops a most seductive and powerful rumble that reverberates across our bay, bringing people to their doors in awe! Shepard had an arrangement as well with Chrysler to provide accessories such as the steering wheel (also used in the 1955 Chrysler cars) and knobs, etc. The dashboard gauge cluster is one used in both US and Canadian boats for several years. I purchased the Shepard, we named the M&M after my wife and daughter and alternately the candy (our candy ride), about 27 years ago. I found her in a field of vines and tall grass and covered with old carpeting and torn tarps sitting on an old hay wagon. The owner refused to uncover her until I paid for it. He claimed he didn’t want to sell…I bit. The fates must have been with me because when I uncovered my now purchased boat, the topsides, cockpit and engine were in fabulous condition. In fact, that year I didn’t even varnish! There are many stories to follow thru the years including a tornado that flipped the boat upside down and sunk her under her boat lift. We were able to restart the engine before any further damage and I spent the balance of that summer with goggles and mask retrieving fittings at the bottom of the Lake. I have another 1955 Canadian custom made, 36′ sedan cruiser that I rescued from the wrecking ball at a boat yard in Colchester. To my wife’s dismay, it resides in our driveway and necessitates some creative turning to negotiate around.